1994/08, CPR/Napinka Sub. Mile 34.6. 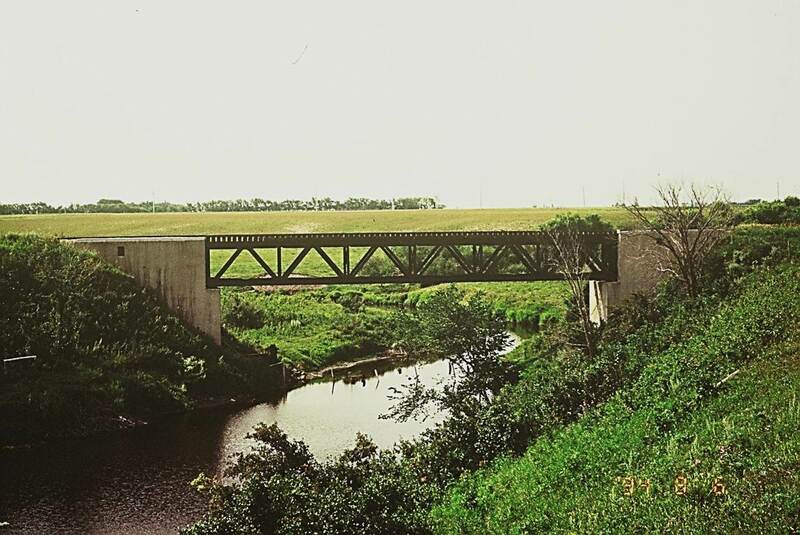 View of the 107’ deck truss bridge from the north – looking S. (Information –BTRC/CPR files. Click on photo for larger image) Photo taken with a Minolta telephoto 70 – 210 mm zoom lens. © Text and Photos exclusive copyright of N. Froese, Author. This entry was posted in Uncategorized on 2015-07-01 by nfroese.